We’ve been looking at sector rotation quite a bit recently here at BullMarkets. Last week we mentioned that the Dow:Russell ratio (large cap vs. small caps) is about to cross above its 200 day moving average for the first time in a long time. 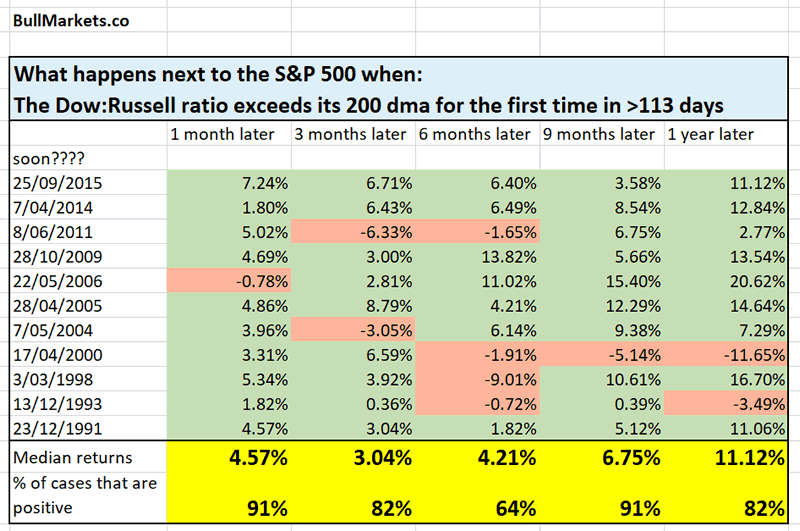 This means that the Dow is starting to outperform the Russell 2000 for the first time in a long time. The Dow:Russell ratio has now officially crossed above its 200 day moving average. Likewise, the S&P:Russell ratio has crossed above its 200 day moving average for the first time in 132 trading days. As you can see, sector rotation is mostly a short term, medium term, and long term bullish factor for the U.S. stock market. There is only 1 real bearish case out of these 10 historical cases: September 2001. That historical case doesn’t really apply to today. It occurred AFTER the S&P had already fallen -35% in the 2000-2002 bear market. 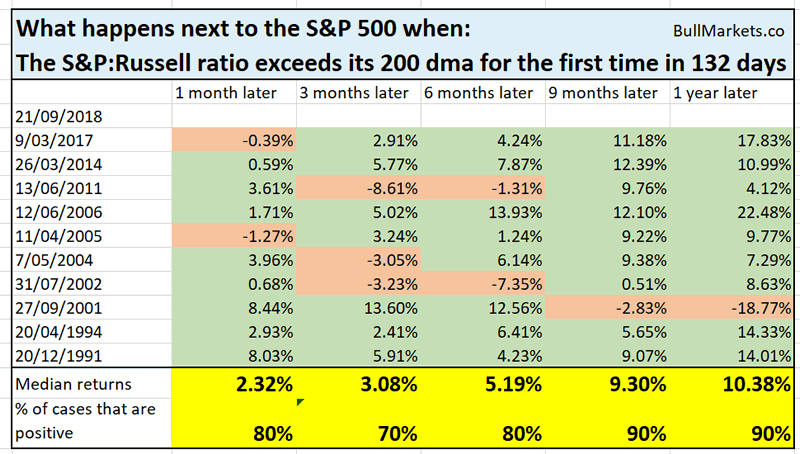 With the S&P near all-time highs today, these are clearly 2 different market environments.